Having grown up playing both consoles and computers, the console RPG, to me, has always been lacking that extra bit of depth usually found in the best computer RPG's - the Ultimas, Wizardrys, Baldur's Gates, and the list goes on. The Ultimas, Wizardrys and even Baldur's Gate knock-offs and spin-offs on consoles do not count, I'm afraid. Enter 2003 and the announcement that the PC release for BioWare's epic RPG, Star Wars: KotOR, has been delayed until fall while the Xbox release remains on track for late spring. The console version was made first, and this fact is significant for a few reasons. Instead of being designed for both Xbox and PC at the same time, the game was first designed largely for the capabilities and control of the Xbox. The interface, control, dialogue, everything... kept in mind for a console user's best experience. What was finally released, I don't need to remind you, was a masterpiece. For me, it was the first time a console RPG ranked right up there with the best RPGs I have ever played, regardless of platform. Like the CD that never gets old, that this deep gaming experience is available on a console still puts me in a state of mild shock. 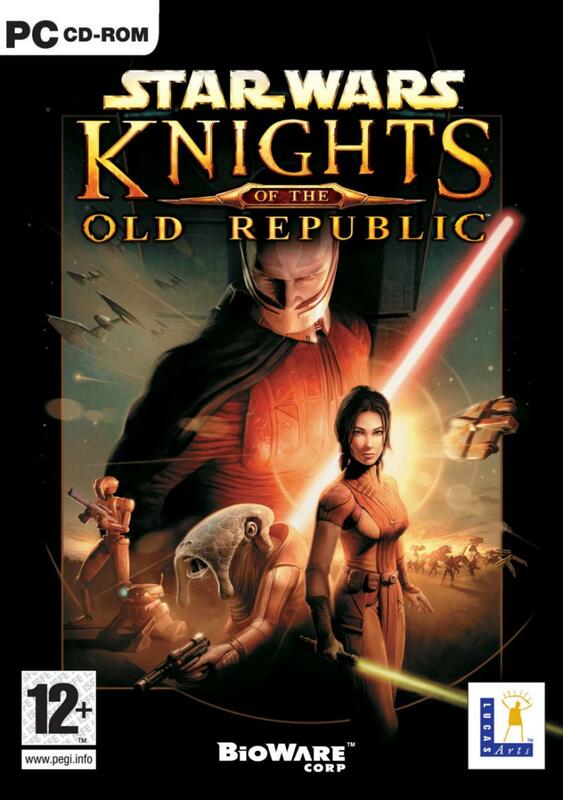 After it ships, one cannot call KotOR solely a PC RPG, for the Xbox had it first, and did it well. So, what then can there be to look forward to with the PC version? To those have yet to play the console KotOR, you're in for the best RPG of the year, bar none. I envy you, in a way. What about those, who like me have already spent 100+ hours on the Xbox version... what's the incentive? We too, will have enough salacious new features to still get hyped, other than the great replayability the game already possesses. Here is the repository of information I have gathered from the gaming community at large about the new features of Knights of the Old Republic, for PC. How does multiple options for anti-aliasing sound, for starters? Toggles for anisotropic texture filtering and soft shadows are there too. Now, take the size 256 textures of the Xbox version and increase them to 512 and 1024, and you'll find much more detail. Expect to see your characters change minutely like never before on their way to the light or dark side. Newly re-compressed cinematic sequences will unquestionably improve the visuals during cut-scenes, and when you mix all of these options with the ultra-high 1600x1200 resolution, you'll have yourself one hell of a first course. All that and a smoother framerate too? It's true, assuming your computer is fast enough. A 1 Ghz is required, with 128Mb RAM for WinME and below, and 256Mb for WinXP. With roughly 1.8Ghz or more, you'll be able to start making use of the new graphic options. Oh, and set aside a robust three gigs of diskspace for the install - dialogue doesn't come cheap. To say KotOR has dialogue is like saying Planescape: Torment had a story - in other words, you'll find it in spades. One final word about graphics for those who have suffered the console version's tendency to throw the same NPC face around far, far too often. Expect the amount of double-takes and dopplegangers to be decreased substantially, as they're replacing many of the standard NPC faces with new ones. On the sound scape, audiophiles should be pleased, as it supports Dolby digital 5.1 surround out of the box. BioWare is completely reworking the interface so that PC gamers have the best gameplay experience. From floaty context sensitive menus appearing over NPCs and items, to using the mouse wheel to zip through your inventory, action queue and force powers, many improvements are in store. As for control, the 3D perspective's typical WASD keyboard setup is being used. To rotate the screen, you'll simply move your mouse cursor to either edge of the screen. The TAB key will switch characters and the spacebar pauses. No word yet on whether the keyboard functions can be re-mapped, yet it would be very un-BioWare if that weren't possible. The new content is where the PC version ups its Xbox cousin. It should be mentioned that some of this new content will undoubtedly be made available via Xbox Live. To begin with, PC users will have access to a whole new area. Specifically, you will now be able to fly the 'Hawk to the space station around Yavin, one of the planets featured briefly in the first Star Wars film. Aboard the station, you'll have access to new high-end merchants, new quests and combat encounters as well. Speaking of merchants, there will be over two and a half dozen new items, roughly 30. Some of these will be more powerful than anything you could get in the original - multiple stat-boosting and obscenely high-priced. Included in the mix (though likely received from a quest or encounter, not through purchase) will be two new lightsabers. One is rumored to be used for the dark side and another powerful saber for the light. There will also be four new armor types in the game. With all of the new content, redesign of the interface, and graphical upgrades, those looking for the ultimate RPG this year should look no further than BioWare's Star Wars: Knights of the Old Republic for PC this November. And as always, you can look to GameBanshee to having the most complete coverage of the game when it's released.